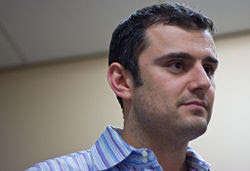 Gary Vaynerchuk is the Howard Stern of the on-line wine world. In case you've been living under a rock for the last two years: Gary is the driving force behind Wine Library TV, an on-line video blog of wine reviews and palate-building tips that has become a sensation in the Wine 2.0 community. In his chosen medium (in this case, web video), Gary - like Howard Stern - unleashes his slightly-irreverent style with over-the-top, grass-eating gusto. Depending on your demeanor, you might find Gary's love-it-or-hate-it, in-your-face style endearing and energizing, or downright exhausting. Off-line - also like Howard Stern - things are bit less off-the-cuff, and a bit more calculated. To that end, Gary has performed brilliantly, shrewdly parlaying his on-line exposure into business success: he has garnered TV spot appearances (4 minutes on Ellen will still get you far more exposure to more eyeballs than any on-line presence), spearheaded a tenfold factor growth of his family's brick-&-mortar store, and purchased on-line wine social networking website Corkd.com (with trails leading back to Wine Library). Gary's approach is New Media, for sure - but it's sagacious, old-school business sense all the way. 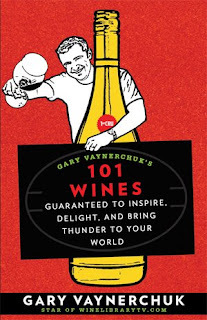 Gary's latest foray into expanding his media media presence is the printed word: his first book, 101 Wines Guaranteed to Inspire, Delight, and Bring Thunder to Your World hits the streets in paperback tomorrow. Following is my review of Gary's latest friendly assault on the wine world. If you're skeptical about a wine retailer writing a book of wine recommendations (I had my doubts as well), take note that not every wine in 101 Wines is available via Wine Library. At least, not yet anyway... I know this because I checked it myself. Like Gary's video episodes, there is minimal wind-up (less than 15 pages of introduction) in 101 Wines, and maximum time (200+ pages) spent on extolling the virtues and colorful descriptions of his wine picks. For those bordering on ADD, the final 20+ pages of the book provide quick-hit lists of recommendations for holidays, or based on top his rankings. "Without the benefit his exuberant live delivery, some of the written descriptions lack the punch they would otherwise have 'in person'"
Gary's enthusiasm translates to the printed page - mostly. Without the benefit of his exuberant live delivery, some of the written descriptions lack the punch they would otherwise have "in person" (case in point: a wine that has characteristics of a big guy in a barrel floating towards your mouth...). Still, you have to give serious props to a self-described "wine guy for the average Joe" who isn't afraid to recommend wines made from Charbono, Tinto Fino (recognizing the sometimes-neglected rising star that is Spanish wine), or who is bold enough to spotlight excellent Lebanese wines. Hardly the first choices that the average Joe might be looking for at their local wine shop. Like wine itself, 101 Wines is best consumed in responsible doses. This is no knock on the writing, which is witty and expressive. It's just an acknowledgment of the fact that reading about wine tasting is like trying to learn how to french kiss by studying a diagram. Fortunately, each wine in 101 Wines is given about two pages of focus, making every recommendation a quick-hit read so you can get on to creating a shopping list and finally tasting. Buy it. 101 Wines is an entertaining and fun read - likely, you'll feel as though Gary is talking you through a gunshot-speed introduction to some skillfully picked wines. 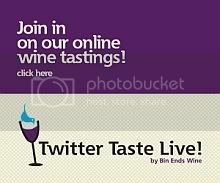 It's geared towards the wine novice in its presentation of wine varietals and Gary's vocabulary of wine descriptors. More experienced oenophiles will find value in Gary's recommendations, some of which will surely surprise those that still doubt Gary's palate. "101 Wines is an entertaining and fun read - likely, you'll feel as though Gary is taking you on a gunshot-ride introduction to some skillfully picked wines." While the tone of 101 Wines is all-Gary, it's also a slightly toned-down Gary. If you enjoy the Love-it-or-Hate-it style of Gary's on-line video episodes, then you will likely enjoy his imaginative descriptors on the written page. If you're not a fan of descriptors like "badass flowers" and comparing wine to the theoretical taste of purple paint, then this book will NOT turn you into a "Vayniac." But if you haven't yet checked out of WLTV, and if you like a no-nonsense wine approach, you'll also probably enjoy this book. In the book's introduction, Gary discusses his view on changing the world of wine. In a nutshell, that revolution in wine appreciation boils down to this: By eschewing snobbishness and empowering the palates of the masses, wine consumers will no longer be shackled by the reviews of a handful of people critics in traditional media dictating the prices and styles of today's wines. This wine 2.0 liberation will allow excellent wines that don't fit the current mold of securing high Parker scores to be appreciated by a wider audience of consumers. In a way, Gary's popularity really is changing the wine world, and convincing a great number of people that wine, like beer, is damn fun. But as Spider-Man/Peter Parker's Uncle Ben once said, "with great power, comes great responsibility." As Gary rails against the industry impact of Robert Parker's points-based wine rating system, it's worth keeping in mind that Gary himself uses a Parker-esque 100-point scoring. As Gary's popularity continues to grow, securing him as the most influential wine reviewer outside of Parker (Robert, that is, not Peter! ), won't this surely add to the issue of winmakers "chasing the points" to increase their bottle selling prices? Only this time, they'll be chasing after the Vaynerchuk point? Will Gary chose the Dark Side? Or will he deliver on the promise of his wine reviewer "Robin Hood" status? Now, the gauntlet has been thrown so please don't go the route of Mary Ewing-Mulligan, who (to-date) has cowardly ignored my challenge to arm wrestle her for a bottle of `82 Mouton. I was fortunate enough to read the book and I think your commentary and review were spot on.